Gyeongbukgung Palace in Seoul, Korea. Hello all! 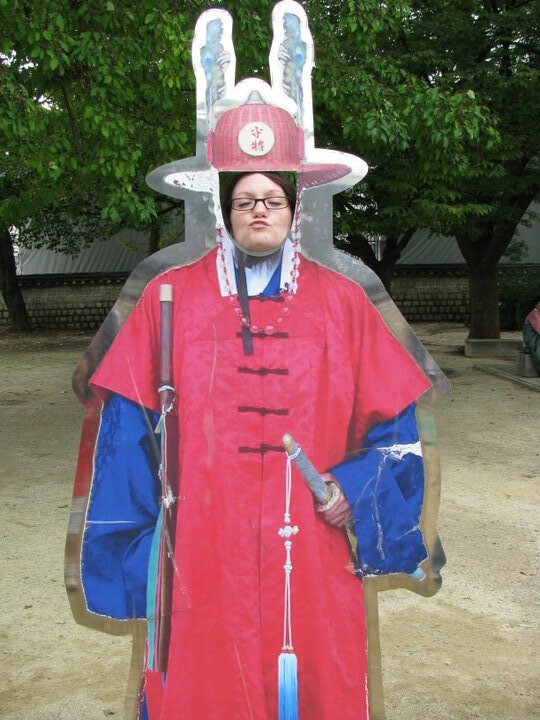 I am Shannon and this is my blog about my process of obtaining and maintaining an English teaching job in South Korea. Through the EPIK program, I got a public school teaching position. The process getting to that job was interesting, so I hope that this blog can give you a little bit of an insight to that whole process! 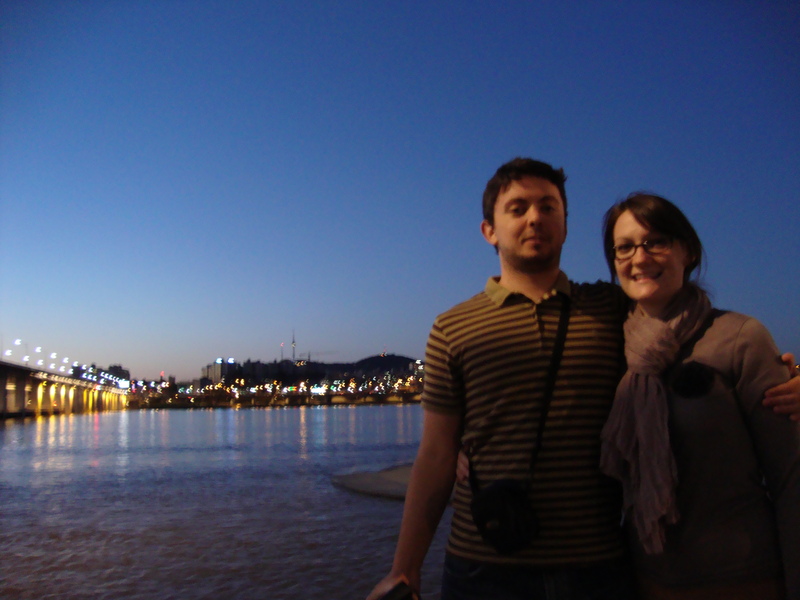 Jeff and I along the Han River at sunset. My boyfriend Jeff and I are living in Daegu, South Korea and both teaching English. We are a couple from Oregon, who can’t wait to see more of the world! I love you Shannon! Good luck and best wishes on your new adventure. You’re going to do great! you wrote that you signed up for free korean class and 1 intensive class. where is that!? can you please share thi info? thank you! Hello Rustam, 1 class is through my job and the other (intensive Korean) is at the local YMCA. It is really great- my teacher is amazing! 180,000 won every 6 weeks though- yikes. I’m glad that I could help!!! Thank you, Shannon! appreciate your help. Hi Shannon! I hope this isn’t too creepy – my name is Tala, I’m in Seattle right now, and I just accepted a job to teach at a hagwon in Daegu in January. So I was googling, looking for blogs about Daegu to hear more about it, and I found you! And I think I’m going to be living really close to you – my school is near Sangin station. So I thought it would be nice to connect with you. I’m joining my boyfriend – he’s been teaching at a hagwon near KNU in the northeast part of Daegu, but other than that I won’t know anyone upon my arrival. Please can you give me directions as to where Daily Bread and Hello Cupcake are. Hey Shannon! I couldn’t help but noticing that you are from Oregon. Well, in short, my boyfriend Tom and I just recently moved to Daegu (to teach English) and we would love to meet some new people if you are interested. I know we have a vacation coming up. I don’t think we’re going anywhere (September 10-14) so just let me know what you think. I’d love to speak with some people who are in their second year! Feel free to email me! Chao!